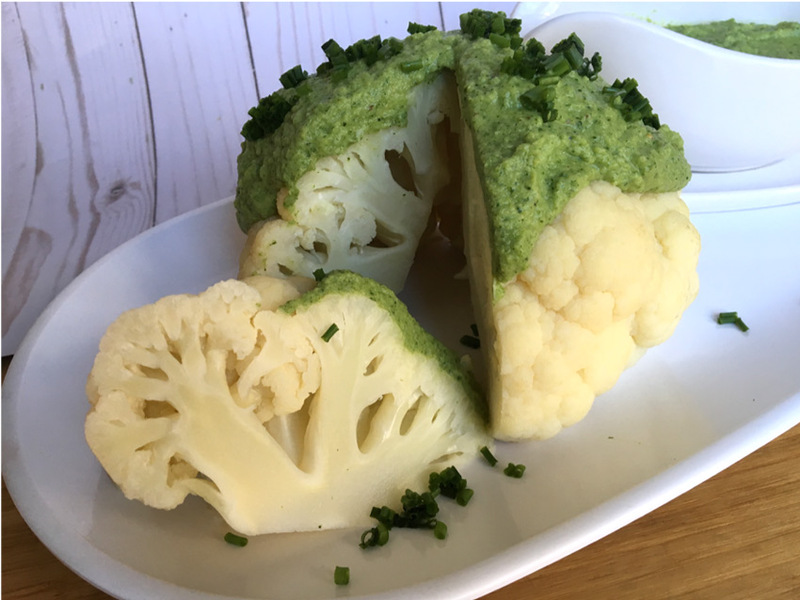 Cauliflower and broccoli make the perfect couple in this nutritionally power-packed, and equally delicious, recipe that never fails to wow the eye as well as the palate. There was a holiday dinner, many years ago, where my mother served a whole head of steamed cauliflower topped with a vibrant green, and very delicious, broccoli sauce. My mother, being quite accomplished in the kitchen, often served up eye-popping and palate-pleasing versions of vegetables. Whether she used a recipe for this glorious dish, or created it to please her son-in-law (my cruciferous-loving husband), remains a mystery to this day. I set out to recreate a simple version of my mother’s creation that would pay homage to her version, but would also maximize the nutritional benefits of the vegetables, while incorporating fresh flavors and micronutrients. Cauliflower and broccoli are both members of the cruciferous, or cabbage, family of vegetables. They are both low in calories, with broccoli being one of the most nutrient-dense vegetables you can eat. 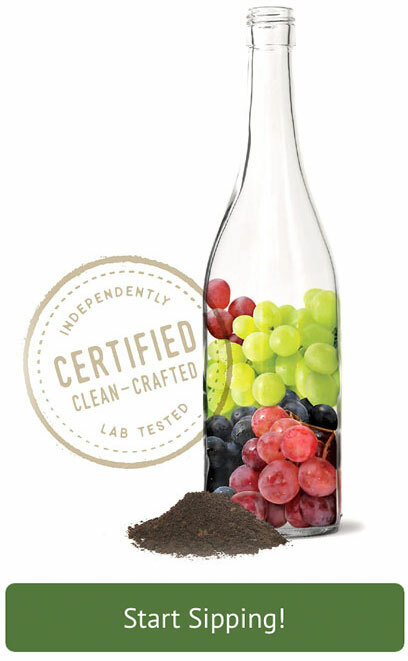 It is especially rich in vitamins C, K and A, as well as folic acid and fiber. Both broccoli and cauliflower contain phytochemical compounds that have powerful anticancer benefits, and are considered important foods in plant based anticancer diet. This recipe is surprisingly easy to make, and can be served as a starter, a side dish, or a filling, meatless entree. The broccoli sauce can be made ahead of time and warmed up right before serving, making it an easy weeknight supper. If you have never steamed a head of cauliflower, you will be amazed at how easy it is to do; not to mention the many serving possibilities. Once you cut the steamed cauliflower in wedges, it can be topped with any number of healthful sauces or serve as a base for your favorite pasta sauce. 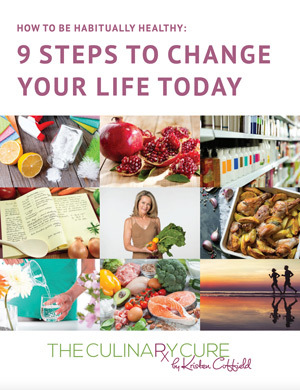 Enjoy this wonderful recipe that serves up flavor and wellness. Add 1 cup water to cooking pot and steam broccoli until bright green and tender. Place broccoli, garlic, basil, parsley, olive oil, salt and pepper in a food processor and pulse until smooth, 3-4 minutes. Adjust the seasonings to taste. Place head of cauliflower, stem side down, in a large pot with 1" of boiling water and 2 Tbs. yellow miso. Steam for 15-20 minutes until cauliflower is slightly tender. Remove cauliflower and water from pot. Place the head of cauliflower on a platter and slice into wedges. Pour the pesto over the top of the wedges and serve. 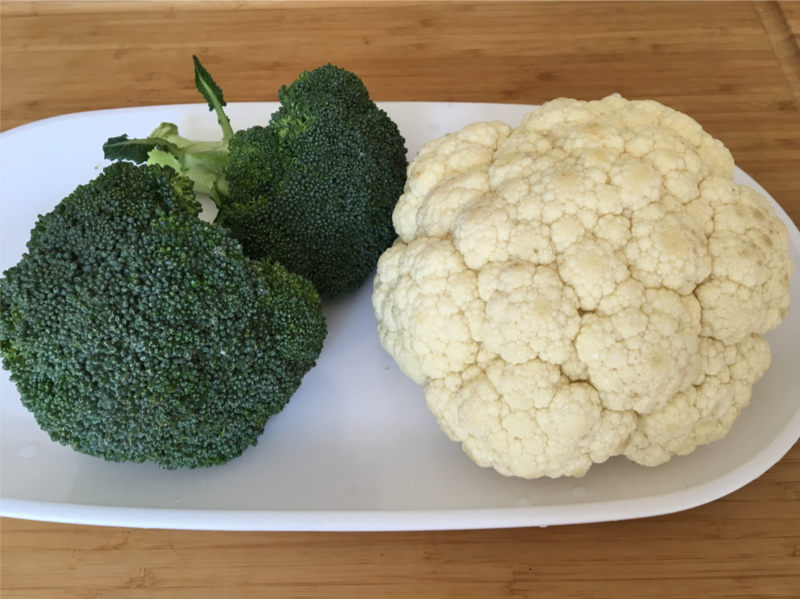 Looking for a recipe for the stems of the Cauliflower and Broccoli? 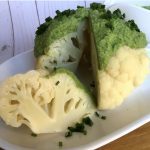 Check out my Broccoli Stem and Cauliflower Core Recipe!